A new advocacy group for craft beer has been formed in Houston by local bloggers and craft beer enthusiasts. Open the Taps, a registered non-profit grassroots organization, hopes to help shape new legislation regarding the craft beer industry by being the voice of the craft beer consumer. 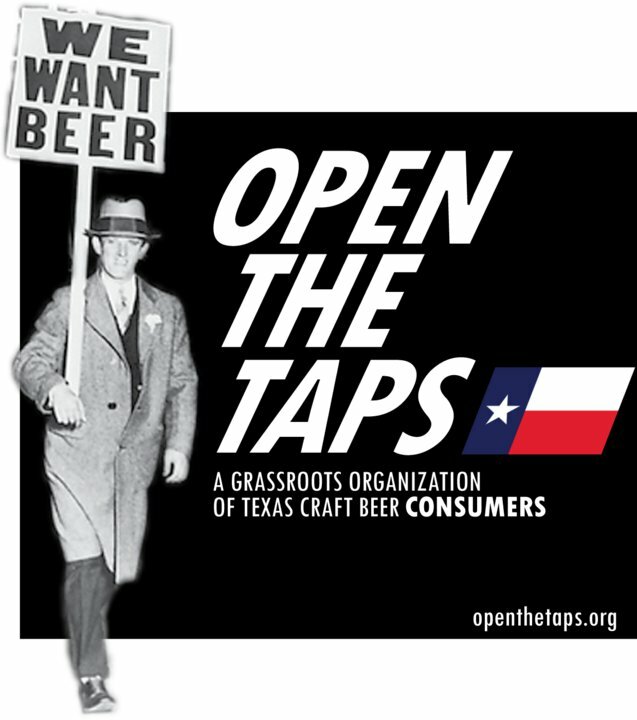 "Open the Taps hopes to reach more Texas residents on a personal level in order to bring change from the ground-up, unifying voters and the consumers into one voice." If you're interested in joining the fight to Open the Taps, the founders will be hosting a launch party at the Moon Tower Inn on Saturday, July 23rd at 4:00pm. drinking good beer and b!tching about politics sounds like just about every one of my sessions... i'd fit in w/ the OtT'ers, i bet.